The landmine setup is one of the single most effective strength training tools in the industry, but sadly it’s hugely under-valued and highly underutilzed. By simply placing one end of a barbell stabilized into a corner of a room or in a specialty landmine attachment or base, you can open up your programming to nearly endless exercise variations to alter the strength curve, challenge stability and load in a more pain-free manner. We’ve brought together five of the top experts in the field of strength and conditioning to coach up their favorite landmine exercises. Not only are these landmine variations extremely unique, but they are also equally as effective. 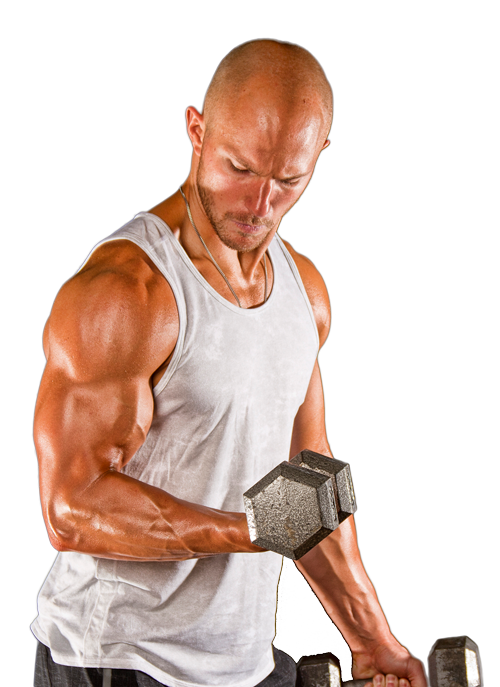 Here are the five best landmine exercises you aren’t doing, and should be. Most landmine T-bar rows require the lifter to use a close grip position. This can make it quite difficult to fully retract and medially rotate the scapula as the shoulders can feel feel crowded and stuck. The trap bar on the other hand provides the lifter a number of options as they can use the outer portion of the bar that gradually tapers. This allows the lifter to use a grip placement approximately 12-24 inches apart ultimately allowing the most natural scapulohumeral rhythm. One of the most common issues on T-bar rows is the semi-awkward and uncomfortable placement of having the bar between legs. This can inadvertently cause many lifters to contort their body and excessively rotate their feet and hips to keep the bar away from their groin and torso. The trap bar allows the lifter to use a more natural stance width while having the arms outside the legs rather than in between them. Most trap bars are approximately 2 feet shorter than traditional Olympic bars. As a result, using the trap bar for landmine exercises slightly exaggerates the arching motion of the bar as it moves. Ironically, this ends up feeling incredibly natural while also helping to depress the scapula to a greater degree as the hands end up traveling slightly posteriorly towards the hips when moving into the contracted position. While the load through the single side of the barbell collar is still placed in the goblet position against the chest, the angle that the barbell creates challenges different portions of the strength curve range of motion with loading. You can further challenge the top lockout by adding accommodating banded resistance to the barbell and securing it under your feet as you squat. The landmine goblet squat is also an excellent squat pattern re-training tool, as the trajectory of the barbell forces you to sit back through the hips and increase the loading emphasis on the posterior chain muscles, the glutes and the hamstrings. Accentuate the eccentric lowering under control, maintain neutral spinal position, and drive up hard out of the hole into lockout! Intelligent training is less about the exercises you are programming, and more about pristine execution of movements to elicit a desired training effect. That’s why using smart pain-free loading tools like the landmine goblet squat is a must in any well rounded strength and conditioning program. My favorite landmine exercise is the plain ol’ vanilla Landmine Press. Many people lack the requisite thoracic extension, scapular upward rotation, and/or tissue quality to bring their arms overhead without some sort of major compensation: excessive lumbar movement, forward head posture, or my corneas jumping out of their sockets from watching. The Landmine Press is a more “shoulder friendly” option for overhead pressing and still a very viable way to train the delts. The landmine row is a fantastic variation of one armed rows that also keeps the health of the lower back in check. The key difference between using a landmine bar and a dumbbell is the fact that the fulcrum is now placed way behind the body and you’re essentially lifting a lever, and not a load that has a force angle completely perpendicular to the floor. Because of this subtle change, it creates a smaller lever arm (given you’re using the same load) for the lumbar spine to deal with. Furthermore, you have the ability to position your body closer or further away from the majority of the load. In my video, it’s clear I’m rowing with my hand placed just behind the plate. There’s no harm in me stepping further back toward the fulcrum or even forward in front of the plate, as both modifications will create different stimuli for the muscles of the back. One more reason I like this movement is because, unlike traditional one arm dumbbell rows, you have to free stand to do them, rather than support yourself on a bench. That creates much more necesary tension for the stabilizing muscles of the trunk to go through, making the amount of weight you can lift using good form much more honest to your body’s capacities and abilities. The client begins with the reverse lunge setup, barbell in the right hand, and left foot forward as shown. You begin the transition off the floor out of the lunge with speed and switch hands mid flight. You want to make sure you stay tall as the start and throughout the movement. As you come off the floor, rotate your hips and pivot the feet. Finish strong with the Rotational Press. To return to the starting position, reverse the hand position and the body as you transition back to the starting position as shown. Repeat for anyway from 2-3 seats of 5-6 reps. This is a great is a exercise as you have to initiate from the ground up. Start light or use empty bar as to execute effectively. Don’t forget to do both sides. Dr. Rusin is the leading pioneer in the fitness and sports performance industries in intelligent pain-free performance programming that achieves world class results while preventing injuries in the process. Dr. John’s methods are showcased in his 12-Week FHT Program that combines the best from athletic performance training, powerlifting, bodybuilding and preventative therapy to produce world-class results without pain and injuries. Thanks for the information. I just had to point out that Gentilcore was cueing about the anterior shoulder glide however in the very next video Boyce was rowing with this technique mistake. can you mention which muscles the exercises work please?